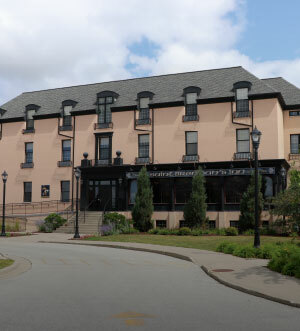 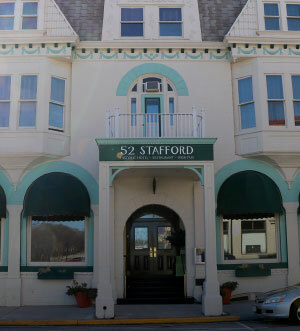 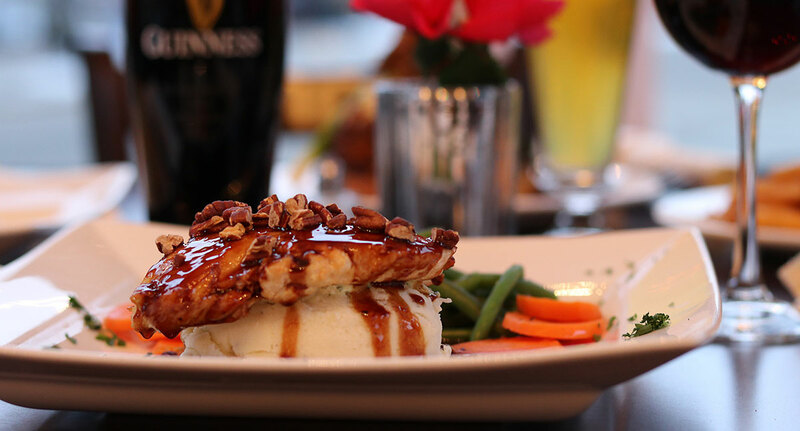 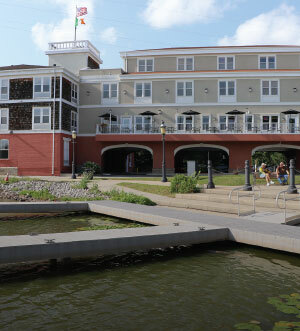 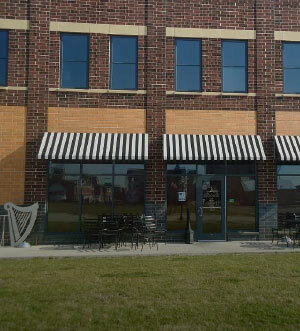 Lose yourself in the tastes of Ireland at Five Points Irish Pub and Restaurant! 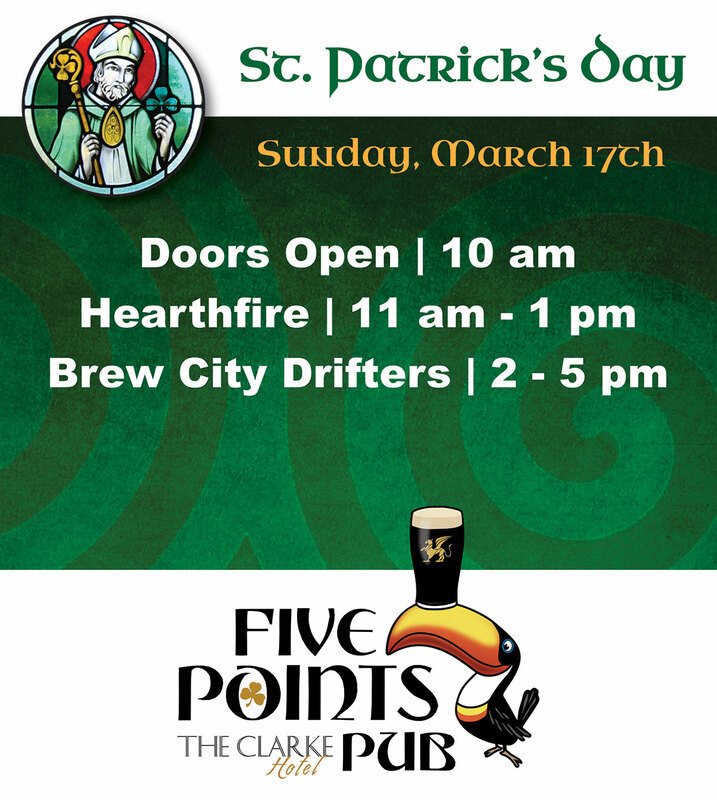 The highly acclaimed Five Points Irish Pub celebrates the music, the food, and the drink of Ireland. 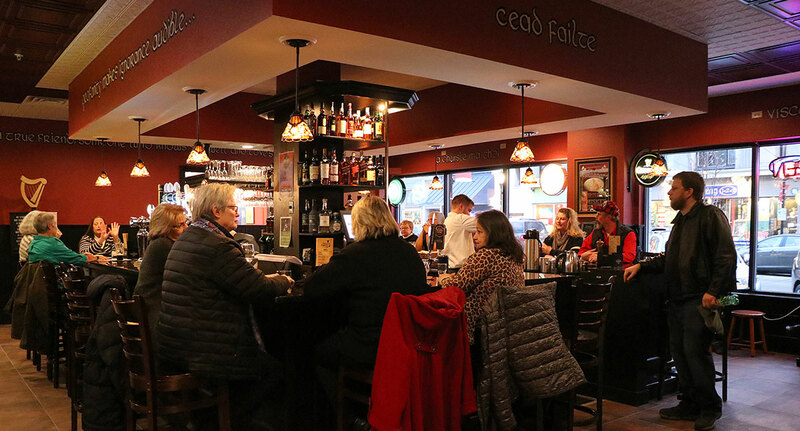 Our amiable staff is proud to present traditional Irish cuisine as well as contemporary American fare. 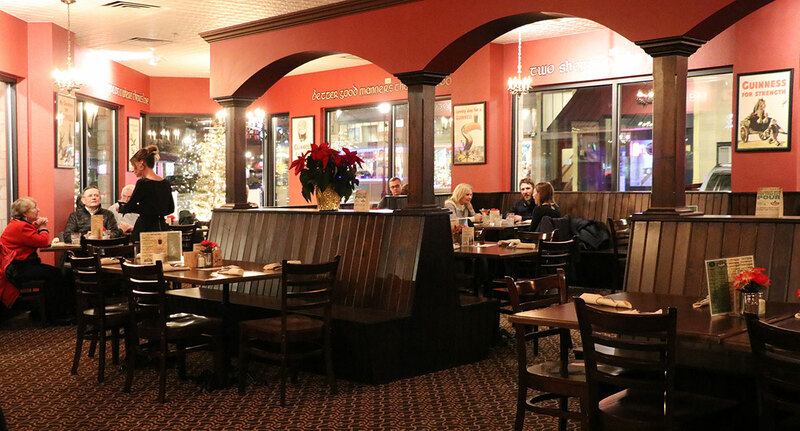 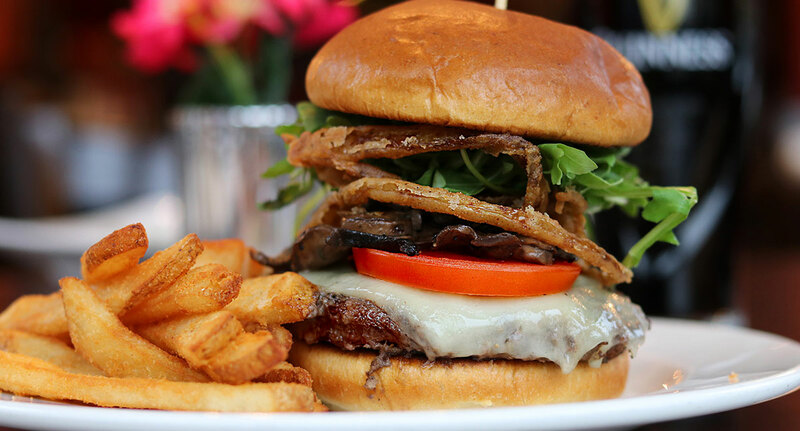 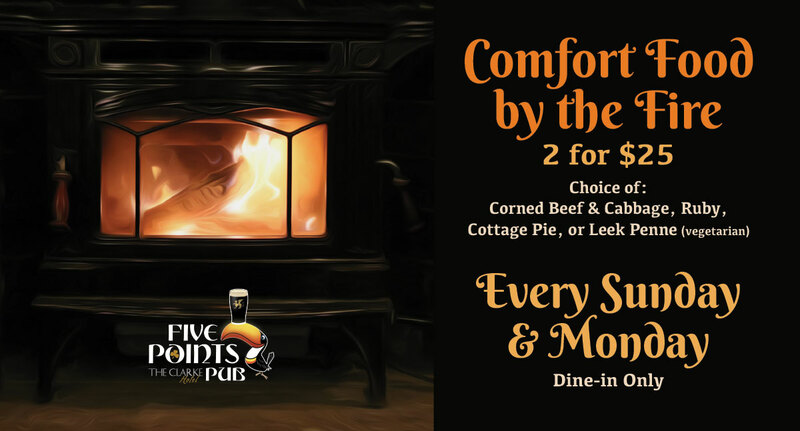 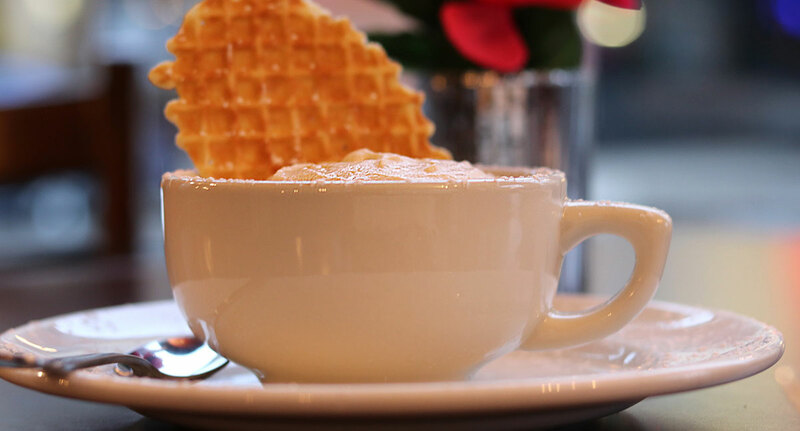 Feast on such comfort food as Cottage Pie, grilled salmon, our signature Irish Root Soup, the Black & Tan Burger, or the popular Ruby (grilled chicken). 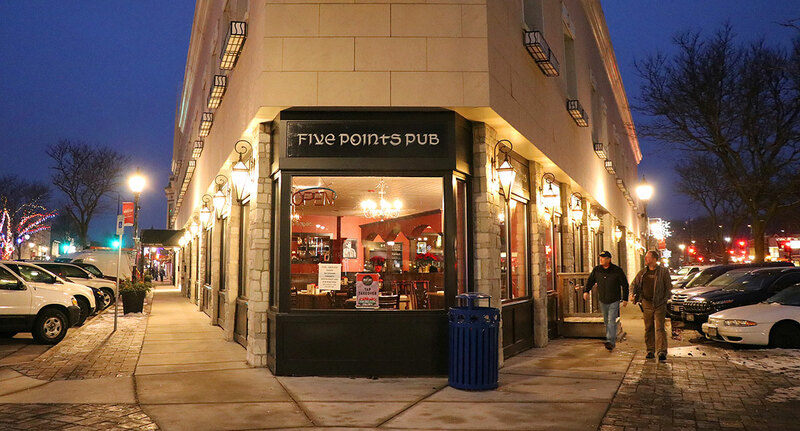 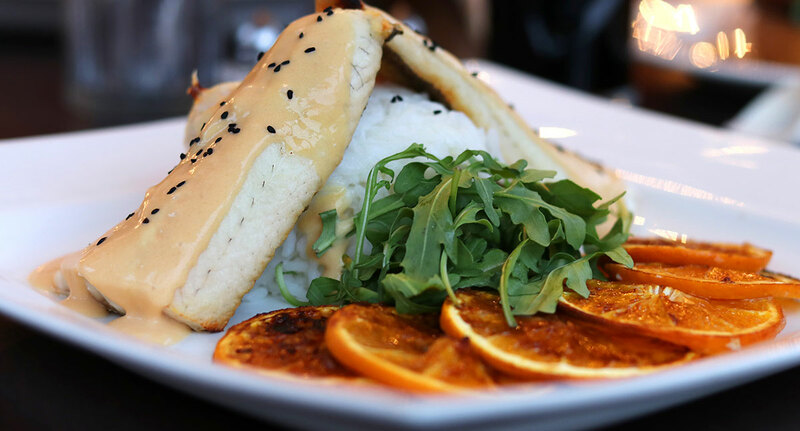 We also have an extensive vegetarian menu, with gluten free, and dairy free options, of all your favorites here at Five Points Pub. 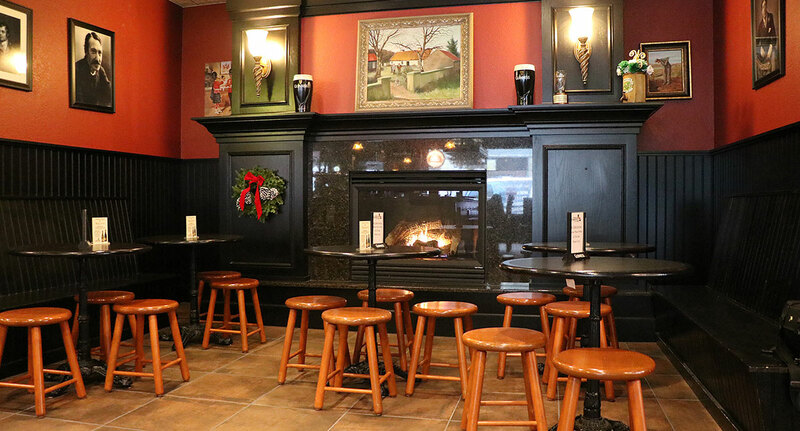 Cozy up to the grand fireplace in the Snug with a pint or cocktail from our fully stocked bar. 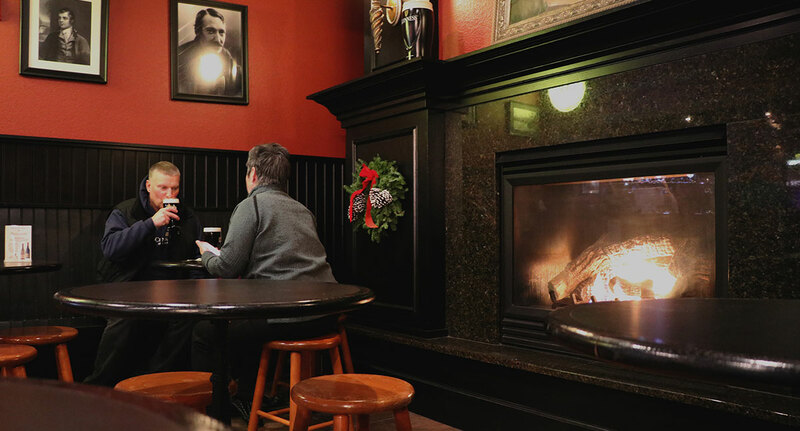 A pint of Guinness is the freshest here outside of St. James Gate itself. 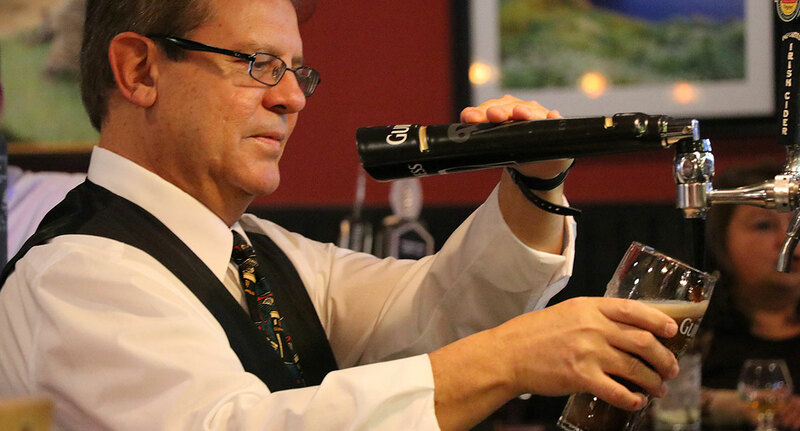 A wide variety of imported whiskey, spirits, wine, and beer are also available. 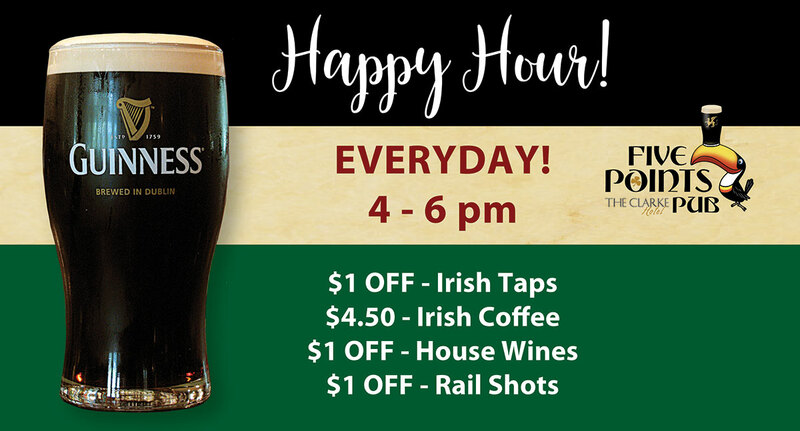 Please stop in for live, traditional Irish music too. 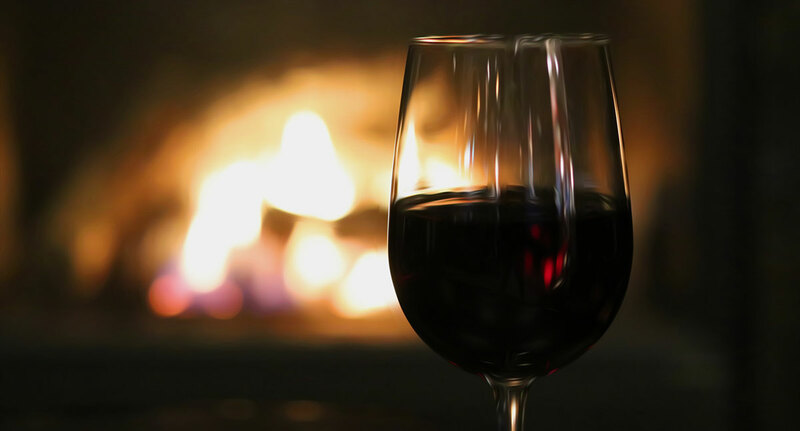 Drinks Menu – coming soon! 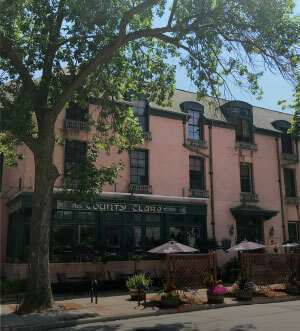 or info@theclarkehotel.com to schedule your event or for more information. 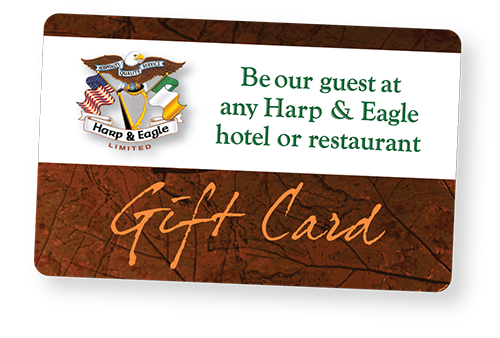 We’d be happy to show you the spaces.